One of the longest on-going demands from the Playerunknown's Battlegrounds community has been for the developers to region lock the game. The recently rolled out Update 22 ditched server selection, meaning that users now default to a specific regional server. But it would seem that players are being put into servers that aren't local to them, resulting in high ping times and desync. Furthermore, there are reports of users still being matched up with Chinese players, with the fanbase now calling for PUBG Corp to just region lock China. 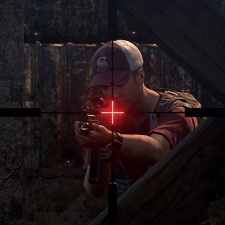 Users from this region are notorious for hacking in the game, with creative director Brendan 'Playerunknown' Greene saying that the 99 per cent of cheaters in the battle royale title are from this part of the world. Still, the game is wildly successful despite these issues. At the time of writing, the game has 596,763 players with a 30-day peak of 1.12m users.